Veteran DXer, DXpeditioner and QSL manager Bob Schenck, N2OO, of Tuckerton, New Jersey, has been named CQ magazine's DX Editor, magazine Editor Rich Moseson, W2VU, has announced. A 2008 inductee into the CQ DX Hall of Fame, Bob succeeds Wayne Mills, N7NG, who has stepped down to pursue other ham-related interests. Originally licensed in 1965 as WN2RJJ, Bob's introduction to ham radio was the annual Novice Roundup contest, and he has been hooked on DXing and contesting ever since. A veteran of more than two dozen DXpeditions to over a dozen countries, he is currently part of the K1N team planning to activate Navassa Island in early 2015. Bob is the team's QSL manager, another major part of his ham radio activities. 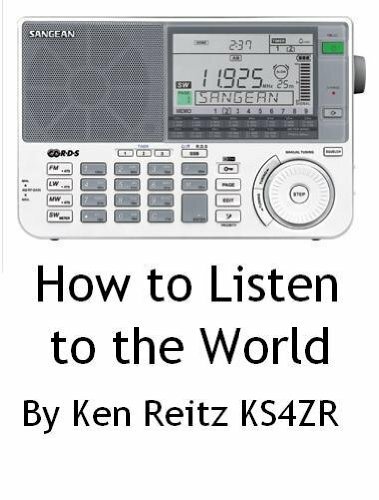 He has served as a QSL manager for over 100 DX stations and another 100-plus DXpeditions for more than 35 years and is the founder of the QSL Managers Society, which serves as a single point of contact for stations seeking a QSL manager, works to preserve old DX and DXpedition logs, and promote a code of ethics among QSL managers. Bob is also on the board of directors of the International DX Association (INDEXA), president of the South Jersey DX Association, a charter member of the Old Barney Amateur Radio Club (also in New Jersey) and trustee of a local repeater. He lives in Tuckerton, New Jersey, with his wife, Beth, KF2BQ, and is a father and grandfather. Schenck will begin writing the CQ DX column as of the magazine's January/February 2015 issue - CQ's 70th anniversary edition.